People in Thunder Bay often open community events by acknowledging that they're taking place on Indigenous land, said Ledah McKellar, the coordinator of the university's Office of Sustainability. This project, she said, contemplates the significance of that reality. Lakehead University's Office of Sustainability considers that recognizing Indigenous rights is part of operating sustainably, coordinator Ledah McKellar said. Lakehead University in Thunder Bay, Ont., is developing a program that will explore the history of the land the school sits on and encourage dialogue about decolonization. 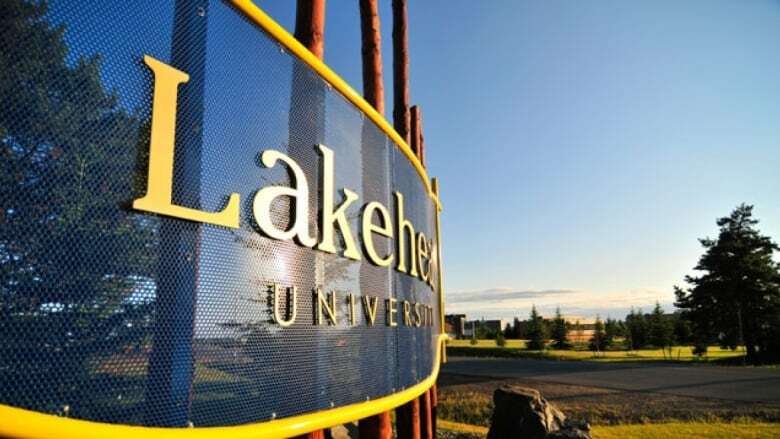 The Lakehead Office of Sustainability is looking to hire an Indigenous student to develop what it's currently calling a "land acknowledgement walk." People in Thunder Bay often open community events by acknowledging that they're taking place on Indigenous land, said office coordinator Ledah McKellar. This project, she said, contemplates the significance of that reality. "What I heard from a lot of people was an interest in ... trying to engage our student body and our community body on what does it mean, for example, to be a non Indigneous person on campus or on a land that is traditional territory of Fort William First Nation, and what does that history look like ... and what are the implications of this history?" The project is a collective effort that grew from talking circles with Indigenous elders and advisers while preparing the school's sustainability plan, McKellar said. She couldn't provide details of what the project might entail, she added, because the goal is for the new employee to help those emerge through conversations with elders, traditional knowledge keepers and other Indigenous people in the area. The Office of Sustainability considers that recognizing Indigenous rights is part of operating sustainably, McKellar added, and it acknowledges that Indigenous people were living sustainably for thousands of years before "sustainability" became a buzz word.